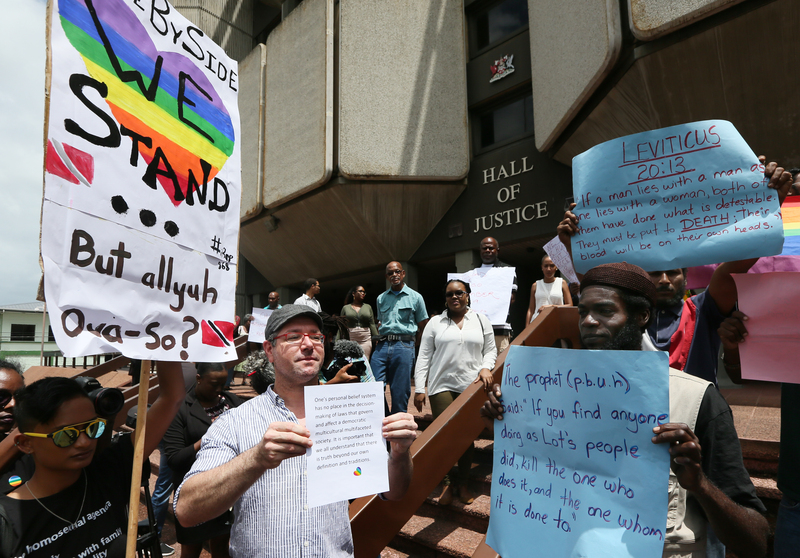 There have been at least four reported instances of pro LGBTQI activists being physically assaulted by assailants after their demonstration on the steps of the High Court today. Gay rights activist Rudolph Hanamji told Newsday that one female activist was badly beaten while going to the parking lot near Woodford Square this afternoon. According to Hanamji, the assault came after a confrontation between activists and some followers of the Jamaat al-Muslimeen on the steps of the Hall of Justice and said while members were concerned for their safety, they will not be deterred and remain firm in the support of the High Court's ruling. Despite the incident Hanamji commended officers of the Guard and Emergency Branch who dispersed crowds and defused confrontations between both sides. Reply to "Activists beaten after High Court demonstration"